Bring out the best in you in just a few seconds. Does your skin show your tiredness and lack of sleep? 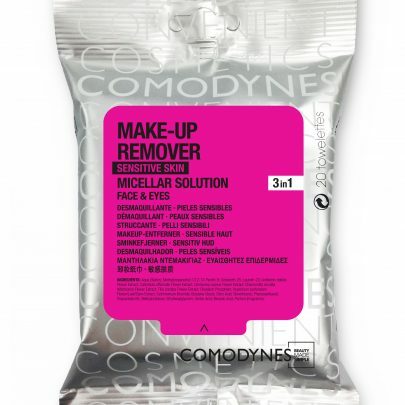 The pocket treatment which combats dull tired skin. 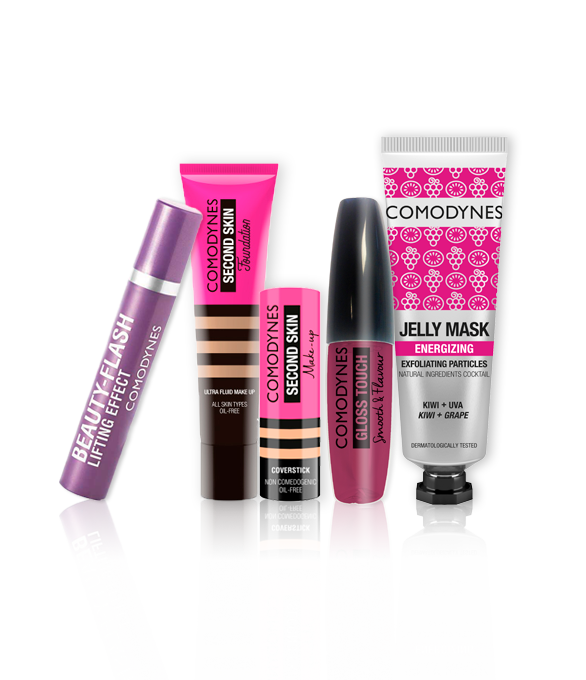 Skin that’s ready for anything in just a few seconds. Regenerating, moisturising and firming action. Results vary according to the number of applications. 1 minute for a complete application / 8 h duration. Apply before the foundation with gentle touches on the desired area for best results. 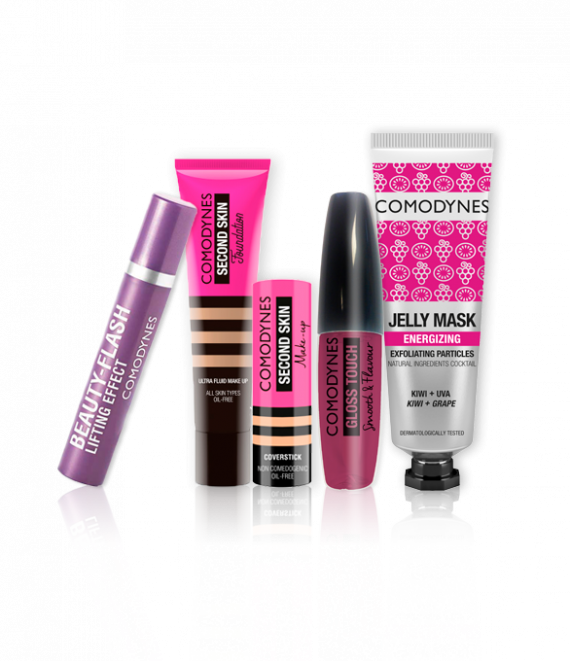 The 1st Comodynes Makeup second skin effect! Apply with hand, sponge and brush. Your pink gloss that changes according to the pH of your lips. 5 colours, 5 flavours. For skins that need an express recovery. Apply 1-2 times per week. Have a natural-looking tanned skin all year round? Now it’s possible! With the new multifunctional gold dry oil that moisturizes, illuminates, repairs and softens the face, body and hair; beautifying them at the same time. Triple action: moisturizes, repairs and softens. Contains 7 vegetable oils and vitamins E and F.
Multifunctional illuminating action: for face, hair and body.